PA chairman's spokesman livid after Netanyahu says a Palestinian entity in Judea and Samaria wouldn't be a state. A spokesman for Palestinian Authority (PA) chairman Mahmoud Abbas on Wednesday blasted Prime Minister Binyamin Netanyahu’s comments at the Jewish Federations of North America (JFNA) General Assembly. In his remarks, Netanyahu said that under his vision of a peace agreement with the PA, Israel would continue to have exclusive control of security in Judea and Samaria, essentially admitting that the Palestinian entity in that area would not meet the real status of statehood. In response, Abbas spokesman Nabil Abu Rudeineh said that Netanyahu’s comments prove that Israel is determined to destroy any chances of peace. 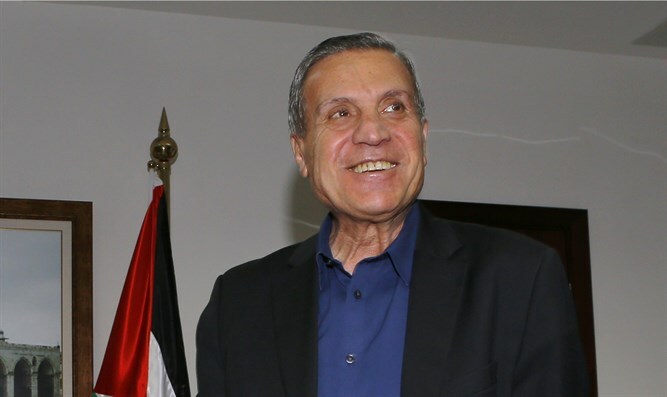 “There will be no peace or security without the establishment of an independent Palestinian state with East Jerusalem as its capital on the 1967 borders,” said Abu Rudeineh in a statement posted on the website of the PA’s WAFA news agency. Abu Rudeineh stressed that these statements by Netanyahu confirm that the Israeli government is determined to destroy chances of peace as it continues to look for excuses and feeble pretexts that do not add or change anything rather lead to a continuation of the tension, which means continuation of the danger and chances of an explosion.